Within the scientific community, there is still ample debate with regard to the etiology of Autism Spectrum Disorder. Generally, the consensus is that ASD arises from heritable genetic traits, with some studies pointing toward abnormalities associated with the X chromosome (Chakrabarti & Fombonne, 2005), or abnormalities in genetic code (Williams, 2012). Although it is well established that the precise etiology of autism has a genetic component, there are likely numerous genes and other environmental factors that play a role; we still have so much to learn about Autism’s origins. The Simons Foundation Powering Autism Research for Knowledge (SPARK) is a new initiative in autism research that hopes to accelerate the progress of genetic autism research by studying the genetics of the largest sample size of any Autism study to date. SPARK is funded by the Simons Foundation Autism Research Initiative (SFARI), which supports hundreds of Autism researchers in the United States. With the SPARK project, SFARI hopes to gather genetic data from 50,000 families. At the time of writing this article, just over 10,000 families have been enrolled. That is an amazing feat thus far, but obviously, SPARK still needs a plethora of willing participants to meet their goal. Fortunately, Rush University Medical Center in Chicago is acting as a “hub” for the initiative’s research. WGN recently published an article wherein Dr. Latha Soorya, a researcher at Rush University Medical Center, was interviewed about the study. She stated, “If we can develop treatments related both to the genes or the behavioral profile and really improve this journey families take, where they just do a lot of trial and error around treatments to see what works and what doesn’t and make that a little bit better.” Dr. Soorya’s statement succinctly defines the goals of the SPARK initiative. 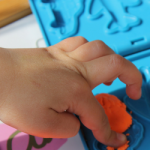 If we can better understand the etiology of Autism, we will be wholly better equipped to develop even more effective treatment plans that have the potential to ensure better outcomes for individuals with Autism. Chakrabarti, S., & Fombonne, E. (2005). Pervasive development of disorders in preschool children: Confirmation of high prevalence. American Journal of Psychiatry, 162, 1133-1141. Williams White, S., Keonig, K., & Scahill, L. (2007). Social skills development in children with autism spectrum disorders: A review of the intervention research. Journal of Autism and Developmental Disorders, 37, 1858–1868.